I love this book so hard. It has literally everything. 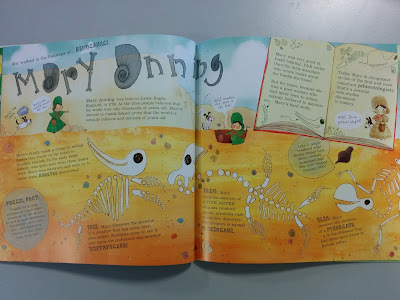 It’s beautifully crafted, lovingly illustrated, educational, inspiring and fun to read, even when you’re 28. I’d never heard of Gertrude Ederle or Agent Fifi! Now they’re up there with Harriett Tubman and Hermione Granger as my feminist heroes. Firstly, the illustrations and text are amazing. The sheer quantity of calligraphy and typography involved in this publication is staggering- it seems so personal and handcrafted and just adds so much flavour and style to the pages- it's one thing to be informative, but being very stylish and gorgeously presented, while being informative is always going to be better. The illustrations are simply beautiful. Lushly colourful, doodly, full of detail, character and personality, each woman is surrounded by a relevant palette of colours. They are adorned with items and accessories of their pursuits, maps, bones, science equipment, cacti- whatever bits and bobs enhance and colour that particular person’s contribution to history. Pankhurst’s illustrations are joyously coloured, strikingly vibrant and infinitely appealing to any reader lucky enough to get a copy of this book in their hands. 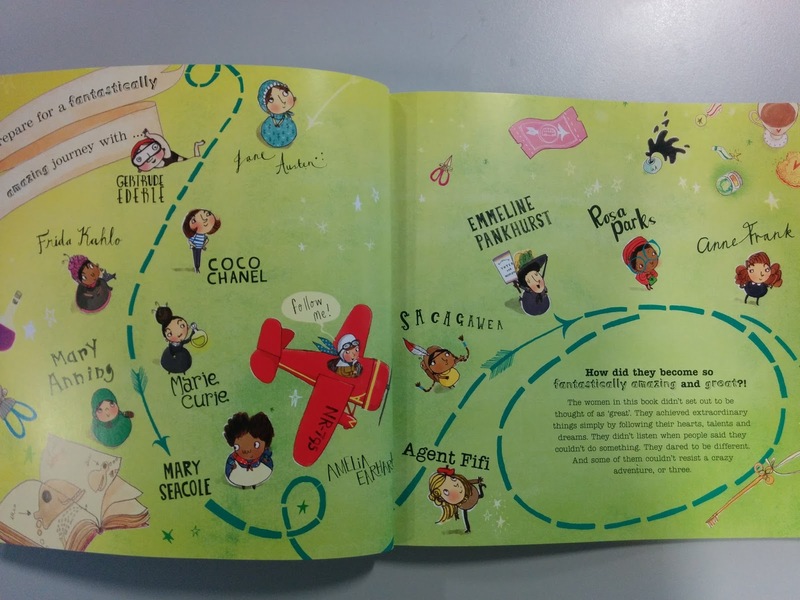 The layout too is brilliant- each fantastic woman gets a double page spread and the reader’s eye is directed across the page, tracking the journey of the woman’s discovery, invention, life or achievement. Arrows help to guide the order in which we are supposed to read, as each page features a main story, then additional facts and snippets of biographical information or key terms. The arrows help to keep everything moving in the right direction and in the right order. 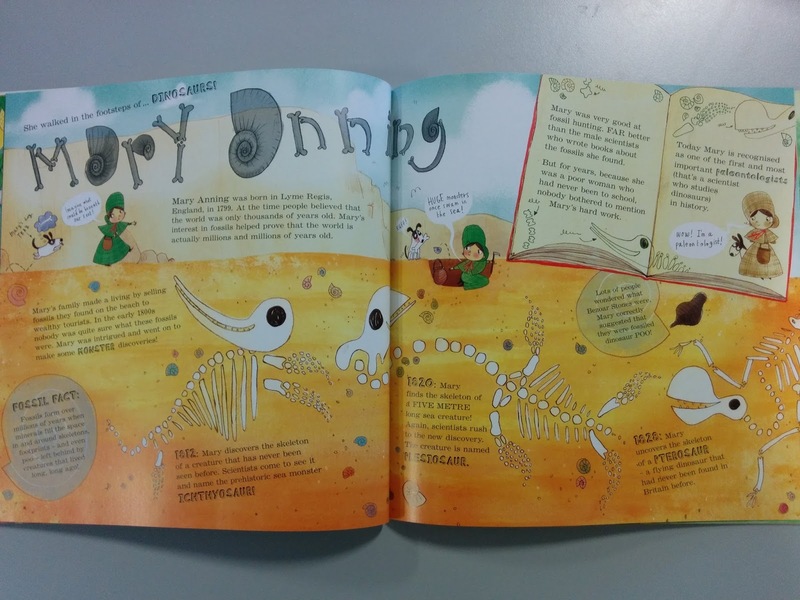 I loved too how the layout alters to fit each person- going to use Mary Anning as an example because I am a huge dinosaur nerd and she was one of the first Palaeontologists of any gender or nationality- though she was largely uncredited due to her tiny woman brain and lack of scientific credentials. 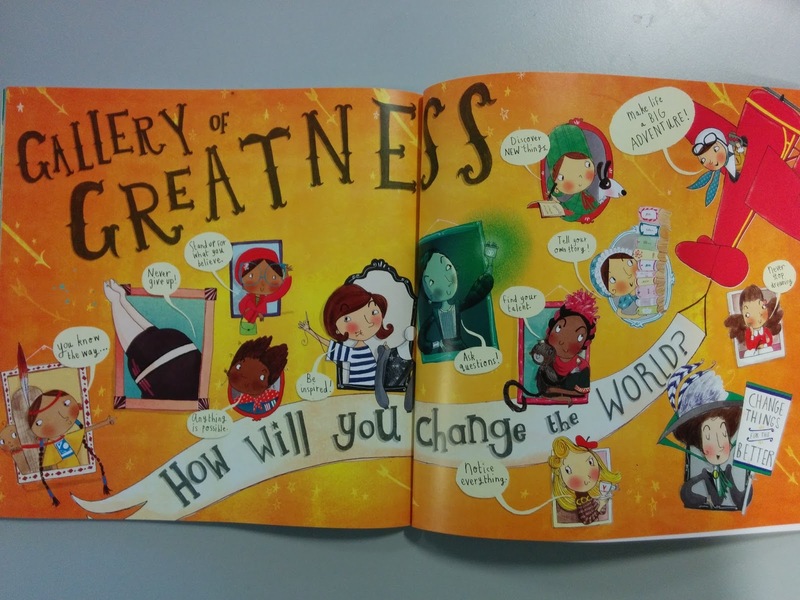 So who do we learn about in Fantastically Great Women Who Changed the World? Some are rightly famous, some are undeservedly obscure or scandalously forgotten. The full roster of remarkable ladies is; Novelist Jane Austen, Channel swimmer and Olympian Gertrude Ederle, Fashion designer and businesswoman Coco Chanel, Artist Frieda Kahlo, Nobel Prize winning chemist Marie Curie, Palaeontologist Mary Anning, Nurse Mary Secole, Aviator Amelia Earheart, Secret Agent Fifi, Translator, navigator and explorer Sacagawea, Suffragette Emmeline Pankhurst, Civil Rights campaigner Rosa Parks and diarist Anne Frank. 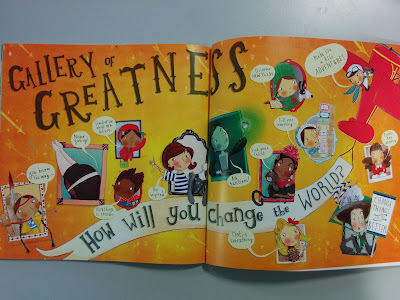 It must have been really hard to choose who to feature in this book- I really hope there’s a follow up featuring more great women (Elizabeth Fry, Maria Sibylla Merian, Harriett Tubman, Laura Trott, Malala Yousafzai, Irena Sendler, Annie Oakley, Bess of Hardwick, Ada Lovelace, Martha Graham) please please please do a MORE Fantastically Great Women Who Changed the World! I’m going to give copies of this book to everyone I know with small children for Christmas, boys and girls alike, because all kids need to know that it’s ok to explore their talents, be brave, ask questions and discover new things! Girls need to know from as young an age as possible that they *can* do whatever they want, and boys need to know, equally, that they can also do these things, but they’ve got competition. Thanks so much to Lizz Skelly, (who I finally managed to meet at YALC- yay!) for sending me a review copy of this amazing book. I love it. 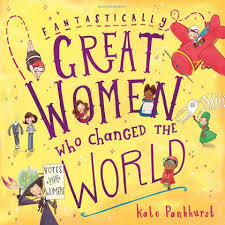 Fantastically Great Women Who Changed the World, written and illustrated by Kate Pankhurst is out on September the 8th. The kids in your life deserve to read this book! !